Announcement: India Giving Challenge 2014 is here! for helping us relaunch the PRG programme!! Abbott Healthcare is one of the top Healthcare companies in India with market leadership and strong distribution network. This month we find out how the organisation excels in engaging its employees through the various CSR initiatives. We had the pleasure of interacting with Ms. Sulaksha Shetty, HR Business Partner, Abbott Healthcare. 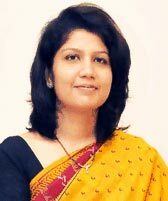 Sulaksha has 13+ years of rich experience in HR. It was interesting to know about various platforms adopted to promote giving culture, challenges faced and the road ahead. The wait is finally over. We announce the sixth edition of this challenge from the Sept 9th - Oct 31st. Many of the Corporate already on board and supporting 8 NGOs. So what are you waiting for? We are eagerly waiting for your participation. Cooking for a cause - There is nothing better than food cooked & served with love. Employees volunteered to cook LUNCH for a day in the office cafeteria for all. The Lunch Coupons were bought by employees and the proceeds are being added in the total funds raised. Organize an entertainment event - Organize events like a dance show or a music concert and open it out to employees and their families. This method allows you to raise money in the form of ticket money. Bingo/Housie - It is a game that gives participants a chance to win money, but it’s also a social outing. That combination makes it immensely popular. A bingo/housie fundraiser is a great way to raise money for your cause and raise funds for your chosen cause, while you’re at it. Do you know what motivates a Millennial to join an Organisation? Employers take note. 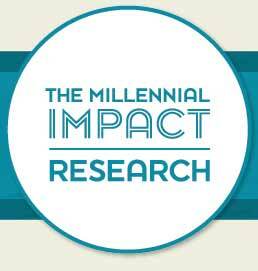 The 2014 Millennial Impact Report by Achieve, a consulting firm, surveyed 1,500 employed millennials—people between the ages of 20 and 34. About a third of respondents said that their companies’ volunteer policies affected their decision to apply for a job, 39 percent said that it influenced their decision to interview, and 55 percent said that such policies played into their decision to accept an offer. Millennials will make up 50 percent of the work force by 2020. As noted in the report, “for a company desiring to build a culture that resonates with this growing demographic of current and future employees, leveraging their passions is crucial.” Companies that recognize and nurture their Millennial workers’ passions and talents are seeing a more committed workforce, a strong bottom line – and a difference in the world based on their cause work. It’s not enough for a company to talk about their corporate social responsibility endeavors to gain public relations points. To create a culture of cause work that inspires better Millennial recruitment and retention, companies must offer employees meaningful opportunities to give, get involved and connect. Credibility Alliance (CA) is a consortium of Voluntary Organizations (VOs) which enhances Accountability and Transparency in the Voluntary Sector through good Governance. CA has launched a Learning Series on CSR in association with FICCI whose objective is to build a common understanding on various provisions of CSR law applicable to Corporate as well as to NPOs. for the HIGHEST number of NEW sign ups last month! GiveIndia is the expert participant in the round table on Employee Engagement for social change.